It’s never an easy thing to talk about, but after the entirely avoidable deaths of several police K-9s in recent months due to being left in hot vehicles by handlers, it’s an issue that clearly needs attention. The latest police K-9 death was in Georgia. A handler left the 5-year-old bloodhound in a hot vehicle, and the animal died. The officer has been placed on administration leave with pay. He could be charged with animal abuse and reckless conduct pending an international investigation. It’s unclear if anyone keeps track of how many police K-9s die as the result of carelessness and neglect, but this summer seems like it may set a troubling record. If you want to get a sense of the scale of the problem, just search for “police K-9 dies in hot car” on Google. 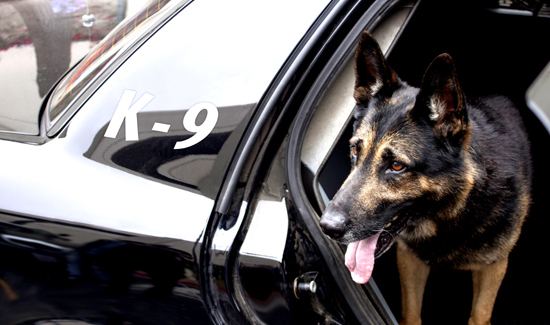 As a former k9 handler & current dog owner, your dog(s) always comes first & should know where the k9 is at all times. Secondly there is all kind of electronic equipment available to prevent this from occurring. Thirdly my dog was my partner & went everywhere where I went. Aircraft, submarine, etc.